Italy WC 2019 Hello guys, Here ‘s the official invitation the the 2019 Class M World Championioship Walter. The next Naviga World Championships in Section S will take place in Wagrowiec / Poland. Please see “Section S” for more details. The invitation for the World Championships 2018 is online. Please refer to “Section C” for more information. Information about the 2018 Youth Modelship Competition, which is scheduled to take place from August 4th to August 10th 2018 in Warsaw / Poland. 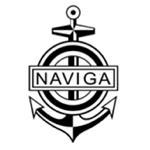 The current list of official NAVIGA Referees is online and can be found in the “Documents” section. Please see “Section NS” for details.